I'm from the the south so I love your voice, mainly I love the way you tell the story and cases I haven't heard! In 1992, A young mother in Atlanta was in a loveless marriage. Her husband was a criminal. She wanted to leave, but he had too many legal connections and kept complete control of their money. When she decided to prove what he was, he had her shot to death in front of their two little boys. 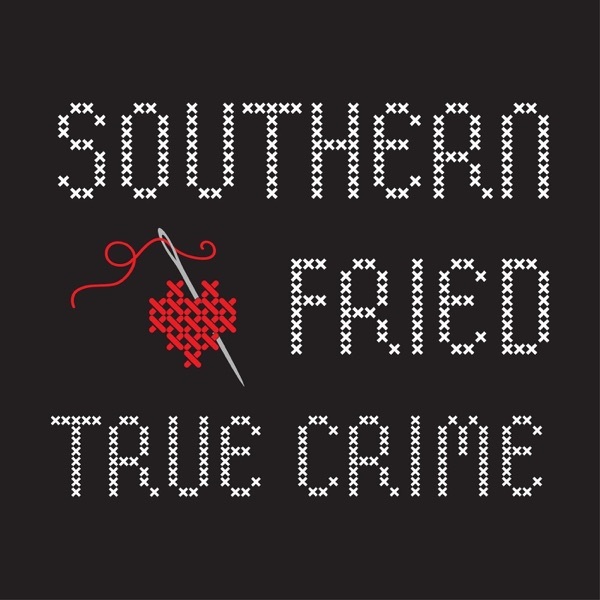 Written, hosted and produced by Erica Kelley Original Graphic Art by Coley Horner Original Music by Rob Harrison of Gamma Radio https://southernfriedtruecrime.com https://www.facebook.com/southernfriedtruecrime https://www.patreon.com/southernfriedtruecrime https://whatamaneuver.net/collections/southern-fried-true-crime (merch shop) @southfriedtruth (Twitter) @southernfriedtruecrime (Insta) Please help support Southern Fried by checking out our wonderful and unique sponsors! StoryWorth.com/southernfried TakeCareof.com (promo code: southernfried) Special Thanks to listeners Sara Lindsey and John Williams who suggested today’s case. In 1974, a feisty, outspoken woman in St. Augustine, FL became embroiled in a ridiculous feud with her neighbors, one that went public and turned most of the old city against her. Then she was brutally murdered with a machete on her own front porch, in broad daylight. And her murderer was set free. Written, hosted and produced by Erica Kelley Original Graphic Art by Coley Horner Original Music by Rob Harrison of Gamma Radio https://southernfriedtruecrime.com https://www.facebook.com/southernfriedtruecrime https://www.patreon.com/southernfriedtruecrime https://whatamaneuver.net/collections/southern-fried-true-crime (merch shop) @southfriedtruth (Twitter) @southernfriedtruecrime (Insta) If you're interested in reading more about this fascinating and infuriating case, please check out "Murder in St. Augustine: The Mysterious Death of Athalia Ponsell Lindsley" by Elizabeth Randall: https://www.amazon.com/gp/product/1467118818/ref=ox_sc_act_title_2?smid=ATVPDKIKX0DER&psc=1 Promo on Today's Episode: "Don't Talk to Strangers" by Nina Innsted of the Already Gone Podcast Special thanks to Southern Fried listener, Chadwick, for suggesting this case. The murder of an 18 year old girl, the mayor, a cover up and the 20 year investigation that blew the lid off. Written, hosted and produced by Erica Kelley Original Graphic Art by Coley Horner Original Music by Rob Harrison of Gamma Radio https://southernfriedtruecrime.com https://www.facebook.com/southernfriedtruecrime https://www.patreon.com/southernfriedtruecrime https://whatamaneuver.net/collections/southern-fried-true-crime (merch shop) @southfriedtruth (Twitter) @southernfriedtruecrime (Insta) Special thanks to author Michael Bishop for graciously talking with me about his investigation. https://www.facebook.com/A-Murder-in-Music-City-Michael-Bishop-119915988737797/ https://www.amazon.com/Murder-Music-City-Corruption-Innocent/dp/1633883450 Special, special thanks to Cousin Lyn!